Putin met with Chairman of the Board of Rosselkhozbank. 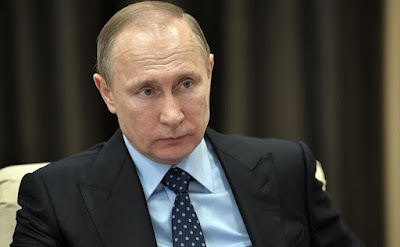 Putin.BLOG Banks Putin met with Chairman of the Board of Rosselkhozbank. Dmitry Patrushev briefed Vladimir Putin on the bank’s results for 2016, in particular, with regard to lending to the agribusiness sector and small and medium-sized enterprises. Other matters discussed included the situation on the agricultural risk insurance market. Mr. Patrushev, what results did the year bring for the bank? What change has your portfolio structure undergone, and what tasks and difficulties do you see ahead this year? Good afternoon, Mr. President. Thank you very much for this chance to meet you. I would like to start, of course, with the bank’s results for 2016. Allow me to show you this presentation we have prepared. It gives a clear summary of what we have accomplished. First of all, our bank is slightly ahead of the sector in terms of lending to the real sector of the economy. Rosselkhozbank is among the leaders in lending to the agribusiness sector in 2016. We accounted for more than 29 percent of lending to the agribusiness sector, and more than 70 percent of loans for seasonal work. We are in second place in terms of lending to small and medium-sized enterprises, and in second place too for our branch network’s reach. We have branches in 80 of the country’s regions. Are you referring to small and medium-sized enterprises in the agribusiness sector, or in general? In general, in the agribusiness sector and in other sectors too. We are in third place in terms of the size of our loan portfolio to the general public. We are respecting the target figures set for lending to the real sector of the economy. As of January 1, 2017, our total loan portfolio came to 1.7 trillion rubles. The agribusiness sector remains our main strategic client and partner. We extended more than 1 trillion rubles in loans to the sector under the state agriculture sector development program in 2016. This is 60 percent more than in 2015. We extended 260 billion rubles in 2016 for seasonal work, which, as you know, has decisive importance for the harvest success. This figure was up 37 percent on the figure for 2015. We place particular emphasis on work with small and medium-sized enterprises, and our loan portfolio in this sector now comes to more than 500 billion rubles. We offer specially tailored products to customers in this sector, including in partnership with the state institutions supporting small and medium-sized enterprises. Rosselkhozbank has extended loans to close to 300,000 self-employed farm people, farmers and private plot owners. Over these last years, we have expanded considerably our customer, resource and capital base. Customer liabilities increased by more than 400 billion rubles in 2016, up by 35 percent, which is substantially higher than the market average. As was planned, we replenished our fixed assets by placing ruble-denominated irredeemable bonds for the first time on the Russian market, in two tranches, for a total of 15 billion rubles. Last time we met, I told you that we were preparing this placement, and now we have carried it out. It turned out a bit expensive, but it was nonetheless the first time a Russian bank organized such placement. We operated with a profit in 2016. Our operating profit hit a record with 55 billion rubles. At the same time, we put practically all of this revenue into our reserves in order to clear our balance of toxic assets. Our assessments show that the most difficult period is behind us now, and in 2016, we achieved a net profit after creating reserves that came to more than half-a-billion rubles. Our banking group also includes the insurance company RSHB Insurance, which enables us to include in our package of services from agriculture sector customers the possibility of insuring harvests and collateral. This company insured 17 percent of all crops insured under the state support program, 40 percent of all pigs, and 20 percent of all poultry stock in the country. Since 2012, farmers have received 1.5 billion rubles in insurance payouts from RSHB Insurance, of which 800 million rubles was in 2016. We do encounter difficulties in our work, of course, but we make an effort to overcome them. At the same time, a number of issues demand the shareholders’ involvement and support, and we are in constant contact with the Government and the Central Bank, and we receive their support and understanding. The federal budget’s strict limits do have an impact on the bank’s work though, of course. Let me conclude by saying that we will continue to complete the tasks you set for lending to our main partner, the agricultural sector, and the real sector of the economy in general. Tell me please, I see here in the diagrams that the amount of money you put into reserves and asset regulation was less in 2016 than in 2015? Yes, Mr. President, it was less. In 2015, unfortunately, we operated with a loss, on which I briefed you, and in 2016, we had a profit of half-a-billion rubles. This is not a big figure, but it is nonetheless a profit. We earned 55 billion and put around 53 billion into the reserves. Mr. Patrushev, what about insurance, how do you evaluate the insurance market in the agribusiness sector? There are some problems, but we think they can be resolved. Most important is that the companies working on this market must not deceive those who want to work with them. If they have received insurance premiums, they must be in a position to make the payouts if an insurance event occurs. This issue requires very thorough study and constant attention. We established RSHB Insurance five years ago, and it has worked quite well so far. 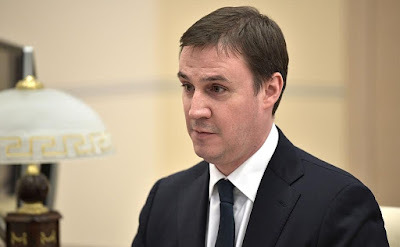 I gave you several figures: We have paid our 1.5 billion rubles over this time, and we paid 800 million rubles in 2016 to clients hit by circumstances covered by insurance and obliged to turn to us for reimbursement. I think that RSHB Insurance is now among the top six companies working on the agricultural sector insurance market. Good. Let’s discuss this in more detail. Vladimir Putin at a meeting with Chairman of the Board of Rosselkhozbank (Russian Agricultural Bank) Dmitry Patrushev. Vladimir Putin and Dmitry Patrushev meeting in Kremlin. Chairman of the Board of Rosselkhozbank (Russian Agricultural Bank) Dmitry Patrushev. 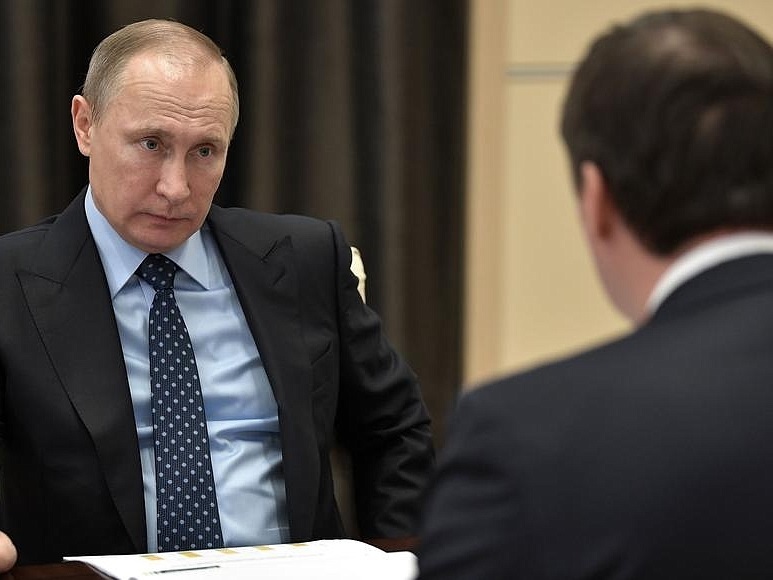 Vladimir Putin, Russian President at the meeting with Dmitry Patrushev. 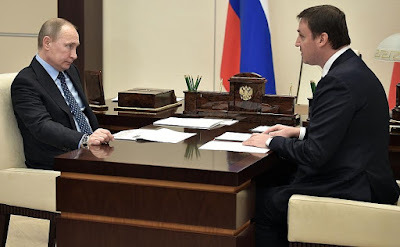 0 Comment to "Putin met with Chairman of the Board of Rosselkhozbank."